martin-kaule.de - Fact or Fake? Welcome to Berlin! Join us for seven themed tours of the German capital. We'll party in nightclubs and popular pubs, descend into Berlin's subterranean world, cheer the city's footballing giants Hertha and Union, stroll through the government quarter, follow the traces of the Wall, and sample the cult of the currywurst. 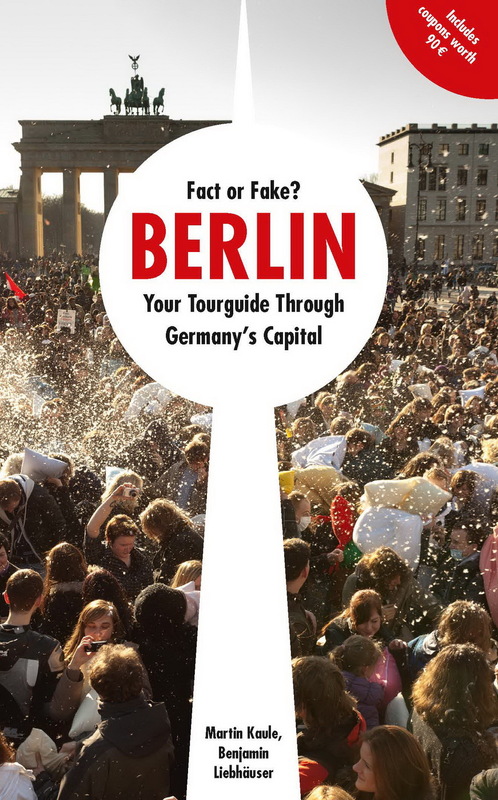 To pass the time in transit we've salted and peppered the tours with stories from Berlin's history that could be true or false. The answers and much else can be found at www.fakt-oder-fake.de. Includes coupons worth 90 EUR! Benjamin Liebhäuser: Jahrgang 1975, Buchhändler, Amateurhornist, leidenschaftlicher Nachtschwärmer, Currywurst-Liebhaber und Fußballfan - seit 2011 als Vertriebsleiter und kaufmännischer Geschäftsführer im Ch. Links Verlag beschäftigt.